Dress up… for anyone who has ever been around a young child, you know that there is always a phase where playing dress up is a given. Every child, whether boy or girl, loves donning costumes on Halloween, or dressing as pirates, princesses, superheroes, firefighters, and doctors, and a variety of other characters. And the use of imagination through dramatic play is one of the most beautiful and somewhat comical things to watch. And while kids can use their imagination and make a costume out of anything (I once had a friend go as a bunch of grapes for Halloween using purple balloons and a green felt hat, and I even went as a bag of jellybeans wearing a clear plastic garbage bag full of balloons), as parents, aunts/uncles, grandparents, and even teachers, there are definitely some factors to consider when purchasing a costume for your child. It doesn’t matter if your little one is going to be sporting their new outfit around the living room, or Disney World, no one wants to be in a costume that itches. 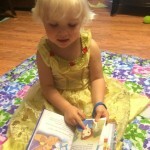 It is hard to capture all of the cute pictures of your kids, or having them pose next to their favorite Disney character if they are preoccupied with how much their wardrobe itches. And depending on where you live or what time of year you visit a Disney theme park, when you add very hot and/or very humid temperatures, you run the risk of a very miserable child. So making sure that the material is breathable or lightweight is also very important too. Another important factor to consider is the quality of the material. Most dress up costumes start around $20 (though occasionally you can find them on sale), and if you buy them from the Disney Store or at a Disney theme park, they will be much more expensive. The last thing you want to do is spend a ton of money on a dress, only to have it get a tear. Not only will your little one be in tears, but depending on how much money you spent, it is very possible that you will be as well. And the last important factor to consider when looking at a costume’s material is whether or not it is machine-washable. 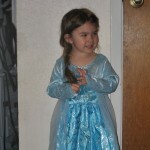 Odds are, if your child is wearing a costume of their favorite character, they will most likely want to wear it A LOT. Which is great, because yay for encouraging imagination and dramatic play, and also yay for getting the most bang for your buck. But… as someone who has spent multiple occasions standing over the bathroom sink scrubbing my daughter’s Doc McStuffins costume (as well as others) by hand, I would much rather toss it in the washing machine and hit a button to clean it. So… non-itchy material, lightweight, fairly durable, and machine washable…. Where are you going to find a costume that fits all of that? For me, I like “Mom Approved Costumes”. The material isn’t itchy, it’s very thin and lightweight (perfect if you’re going to be visiting Disneyland or Disney World during the hotter times of the year… which is the majority of the time), it’s fairly durable (your kids can play a LOT in these outfits without worrying about destroying them in a matter of minutes), and my favorite part… it’s machine washable!! While they are not 100% replicas of popular Disney costumes, they are very similar, and my three year old daughter has no problem identifying which outfit is supposed to be representing its corresponding character. And in addition to the many popular Disney princess costumes, they also have pirate costumes, Prince Charming, and even the Beast costume (among others) for boys! They also have a line for baby costumes, and occasionally highlight other sites where you can find other costumes with similar standards. Disney Diva Tip: I haven’t researched it or the reasons behind it, but I know there is a growing trend to move away from glitter. 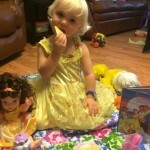 My sister ran into this problem when she went to take her daughter to a “Princess Tea Party” at her local gymnastics studio, and was told that the girls could dress up, but couldn’t have dresses with glitter. 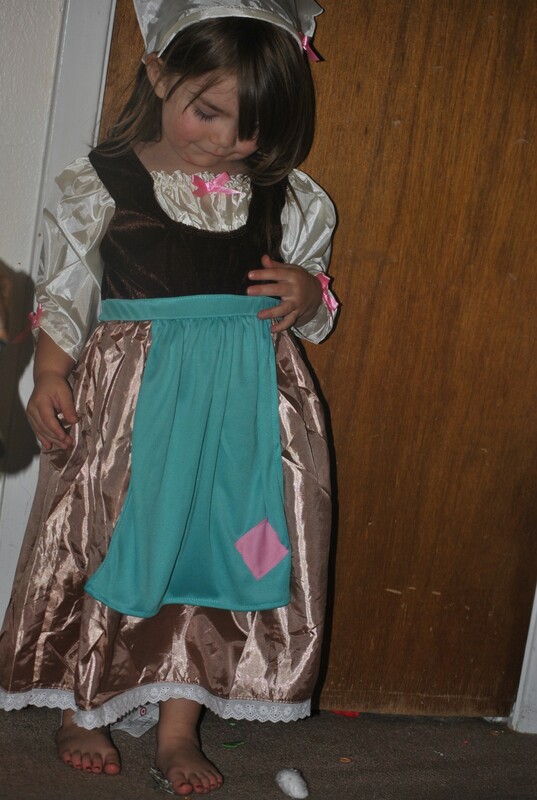 My sister searched everywhere, and could not find any princess themed costumes without glitter. So being the good aunt that I am, I sent my niece an early birthday present, because guess what? These dresses are glitter free! 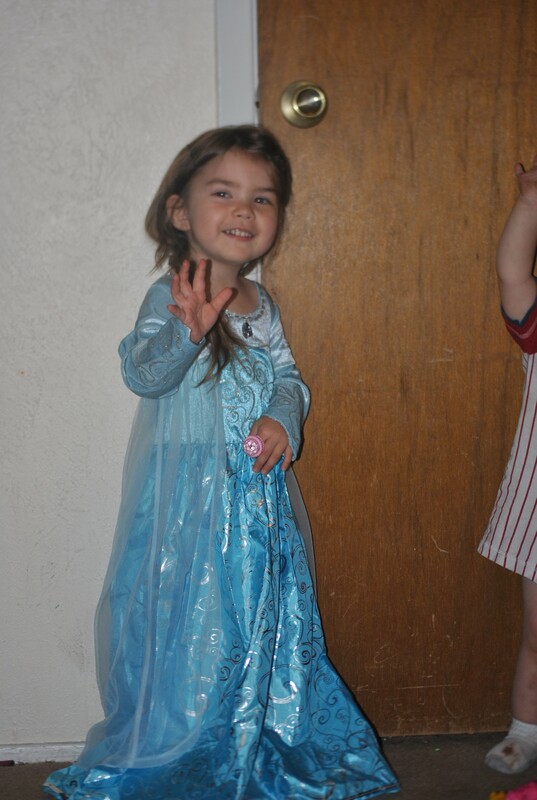 (Though after receiving the Anna & Elsa dresses in the mail, those do seem to have glitter or something similar, so I’m not sure if that will be an issue for you.) 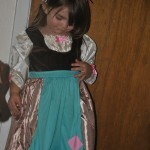 While my sister was at first skeptical about the price and quality, when the Belle inspired dress arrived (the one my sister thought she would like the best), my sister said she was pleasantly surprised by it. And most importantly, my niece loved it… so much, that when my sister told her she needed to put on a dress for church, she asked if she could put on that one! While I loved all of the costumes, I decided to “try out” the costumes by ordering my daughter three. Disney Diva Tip: You receive free shipping if you spend over $75, so the investor in me figured that if I’m going to be acquiring multiple dresses at some point, I might as well save on shipping now. 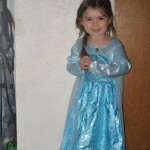 As far as picking which costumes to order, I tried to pick off of what I thought my daughter would enjoy (She liked all of the dresses on the website). 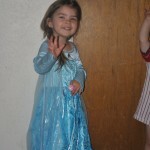 My daughter LOVES Cinderella, and while we already owned a Cinderella ballgown dress, I liked the Cinderella “work” dress that Mom Approved Costumes had. I thought it was cute, and different, and as much as my daughter loves bubbles and trying to help me clean, I thought this dress would be perfect for her. Disney Diva Tip: It worked! 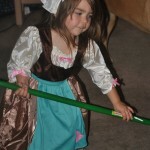 I asked my daughter if she wanted to take some pictures of her holding our broom, and she not only wanted to take pictures of holding the broom, but then she wanted to sweep and mop our kitchen floor…. 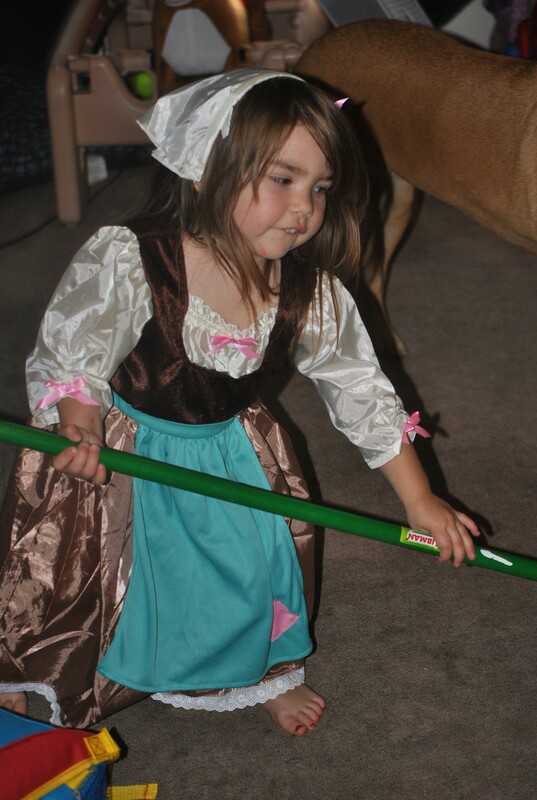 In her cute, little, not-really-cleaning-but-trying-really-hard-to-help kind of way. But she enjoyed it, and she really felt she was contributing to the housework and being like Cinderella, so that’s all that mattered. For the other dresses, I again picked them based on which ones we didn’t already have. 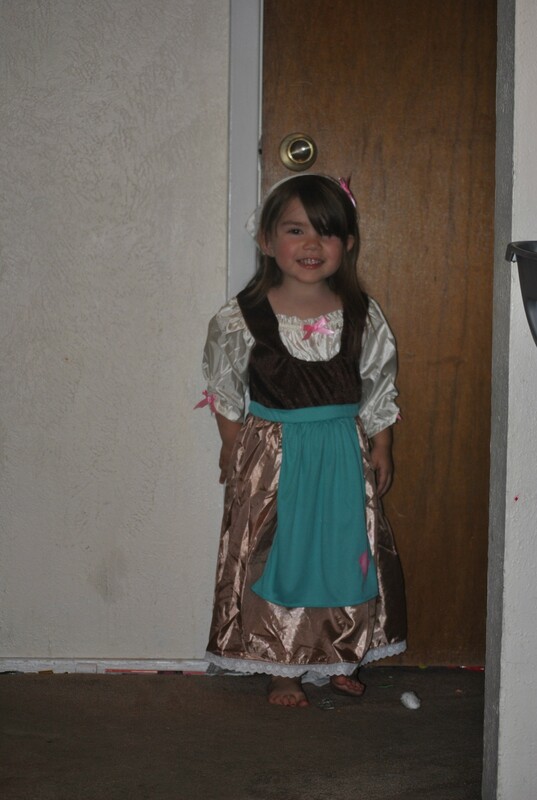 My daughter is not lacking costumes… in addition to the previously mentioned Doc McStuffins and Cinderella ballgown, she also had Ariel, 2 Rapunzel dresses, Aurora, Snow White, Tinker Bell, and Rosetta costumes, (plus a Belle dress on the way from my best friend). Clearly, my daughter is not hurting for variety. 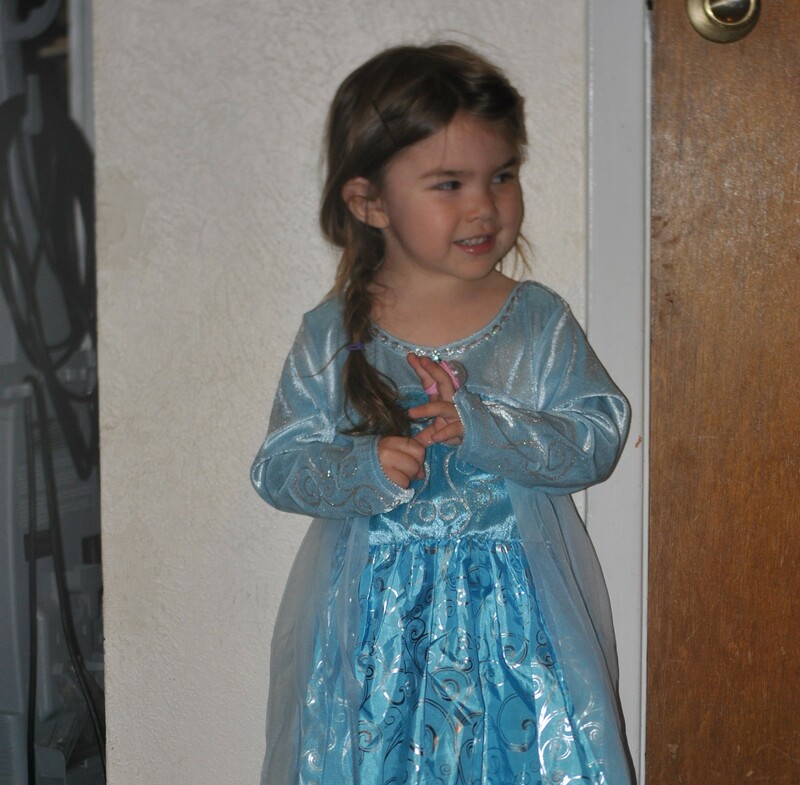 But seeing how Frozen is so popular, and knowing that I am toying with the idea of doing a mini-family reunion and want my niece to go as Elsa and my daughter to go as Anna, the Frozen inspired dresses seemed the logical choice to go. Disney Diva Tip: Unfortunately, due to popular demand, the Anna and Elsa inspired dresses are only available by pre-order… and that means you are waiting a couple of months. And if you order additional costumes, unless you pay for separate shipping, you will have to wait on the remainder of your order as well. So for example, if you want your daughter to have an Elsa dress for Christmas, and a Jasmine outfit for your daughter’s birthday or your Disney vacation in two weeks, you may want to order them separately to insure they don’t both arrive under the Christmas tree. I am a bargain hunter. I like deals. But I like things that we’re going to get a lot of use out of, for a really long time. I know there are cheaper dresses out there. But the cheapness in quality shows. Not that your child can’t have fun in those outfits as well (several of my daughter’s princess dresses are from Walmart), but at the same time, I bought those when they were on sale for $10, and because they are not machine washable (and not the best material.. both when it comes to quality and the itchiness factor), my daughter usually only plays in them for a few minutes at a time. The Mom Approved Costumes line start around $24.99 per dress, and go up from there, though most of the dresses can be purchased for $29.99. It’s not a whole lot more than what I’d spend on dresses from Target or Walmart, but the quality is a lot better, and the fact that I can throw them in the washing machine helps me justify the price difference. 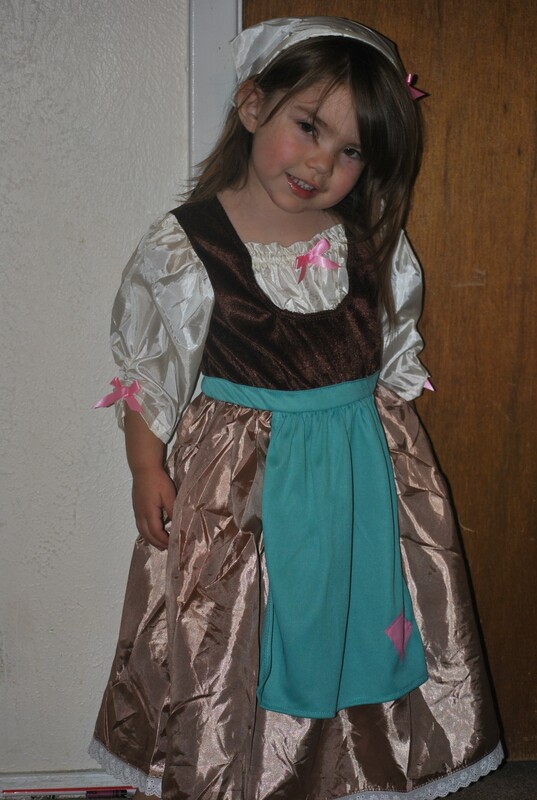 But really… what is the most important criteria when choosing a costume for your child? Their reaction to it. When our package arrived in the mail and I opened it, my little three year old princess gasped and said, “Are these all for me? 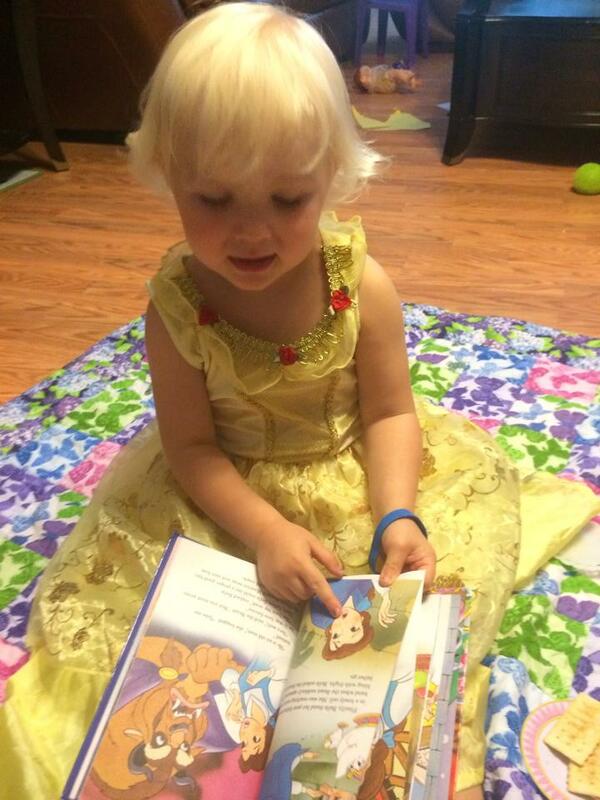 !” She was so happy, and immediately wanted me to open them all, so she could try them on. 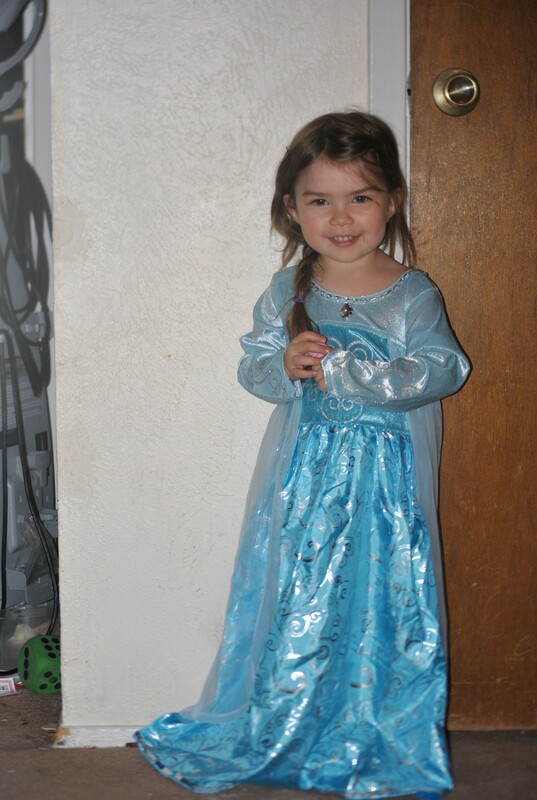 We had hardly put on the Anna inspired dress before she was asking me to open the Elsa inspired dress, and before I could even put that one on her she had already moved on to the Cinderella work dress (which happened to be her favorite). 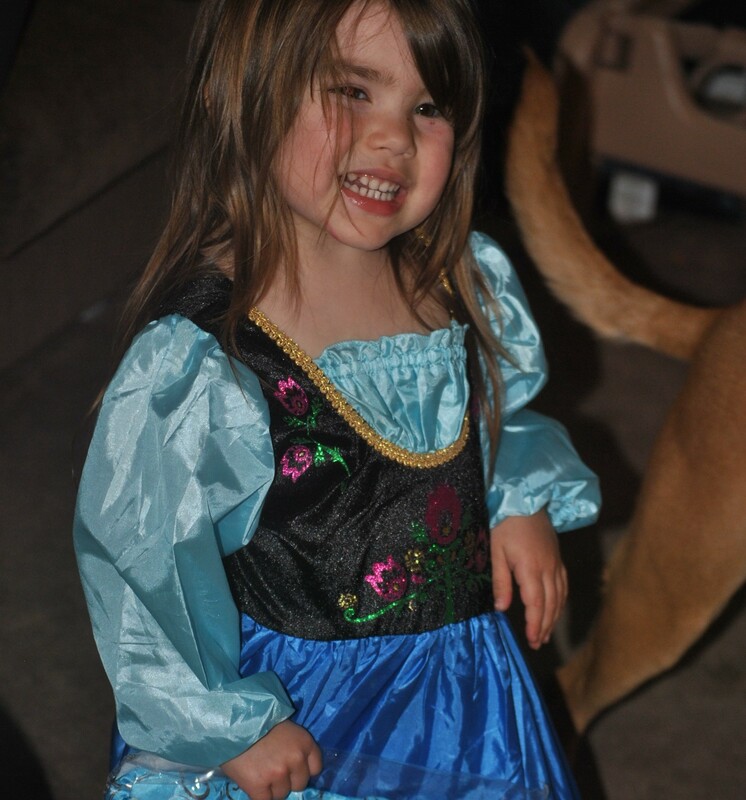 For me, having my daughter have costumes that she enjoys, and that I know she will get a lot of use out of (I even ordered her dresses to be slightly big to ensure that they’d have an extended play life), means the world to me. Nothing can replace your child’s happiness, and I love how excited she is to use her imagination. 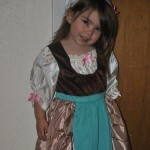 So whether you’re a parent, grandparent, aunt/uncle, friend of the family, teacher, or just want to make a contribution to kids in need (think of all the Angel Tree, hospital ministries, school drives, and other organizations who would love to provide high quality costumes to kids), than you may want to look at Mom Approved Costumes. 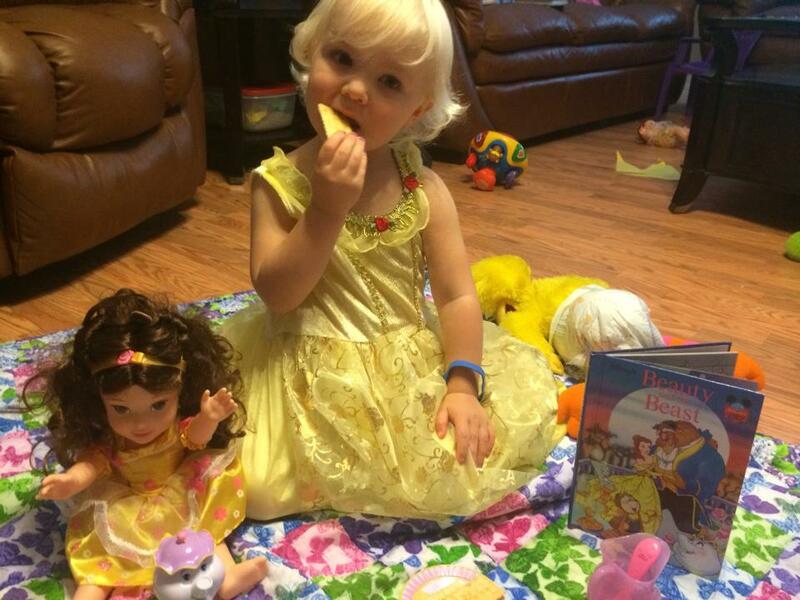 Disney Diva Disclosure: These opinions are totally my own, based on my own experience. I wrote this review without compensation of any kind from Mom Approved Costumes. I am just a mom and a Disney lover who thought I’d pass along this great site and line of character costumes to help my fellow Disney loving fans out there. Looking for More Disney Costume Ideas? 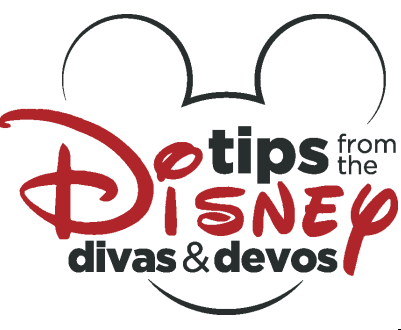 Try some of the suggestions from our other Disney Diva writers! 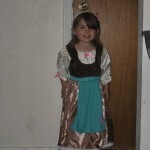 – Easy Disney Halloween Costumes for Kids! 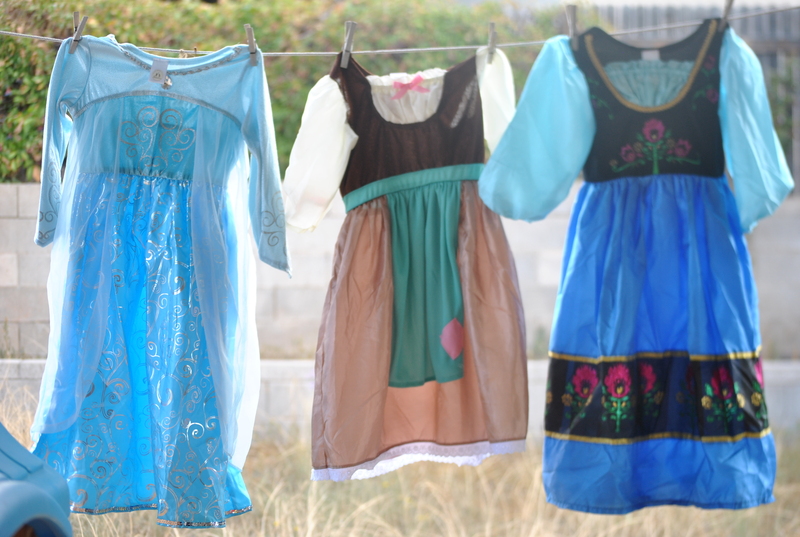 What to Do with your leftover Disney Halloween costumes?